Designing the Olympics claims that the Olympic Games provide opportunities to reflect on the relationship between design, national identity, and citizenship. The "Olympic design milieu" fans out from the construction of the Olympic city and the creation of emblems, mascots, and ceremonies, to the consumption, interpretation, and appropriation of Olympic artifacts from their conception to their afterlife. Besides products that try to achieve consensus and induce civic pride, the "Olympic design milieu" also includes processes that oppose the Olympics and their enforcement. The book examines the graphic design program for Tokyo 1964, architecture and urban plans for Athens 2004, brand design for London 2012, and practices of subversive appropriation and sociotechnical action in counter-Olympic movements since the 1960s. 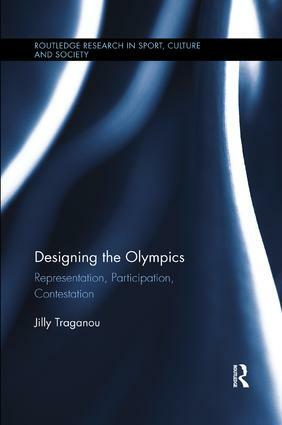 It explores how the Olympics shape the physical, legal and emotional contours of a host nation and its position in the world; how the Games are contested by a broader social spectrum within and beyond the nation; and how, throughout these encounters, design plays a crucial role. Recognizing the presence of multiple actors, the book investigates the potential of design in promoting equitable political participation in the Olympic context.